The AEP building in Columbus. After nearly a year and a half of deliberations with Ohio utility regulators, environmental groups, and customer advocates, American Electric Power appears to have agreement from most parties on the terms of its latest rate case. There’s just one problem: The company forgot to invite the public. The utility began working with the Public Utilities Commission of Ohio on a new rate case in September 2016. The case will set rates and rider fees through 2024 for the company’s nearly 1.5 million customers in the state. When the time came for public hearings, the company was supposed to publish formal notices in local newspapers to let the public know about the meetings. It never did that. The company disclosed the error in a Dec. 28 filing. It’s unlikely to sink the rate case, but it adds an element of uncertainty just as it nears the finish line. “We regret that this procedural oversight occurred and are trying to resolve this issue as quickly as we can,” AEP spokesperson Scott Blake said. AEP has asked PUCO to excuse it from the requirement. In a brief, it said public hearings were well-attended even without formal notices due to publicity from news coverage and advocacy groups. Alternatively, it suggested that PUCO could set an additional hearing in the case. Most parties in the case had already signed onto a settlement plan after the company backed away from a proposal to more than double customers’ fixed rates. One holdout was the state’s consumer advocate agency. 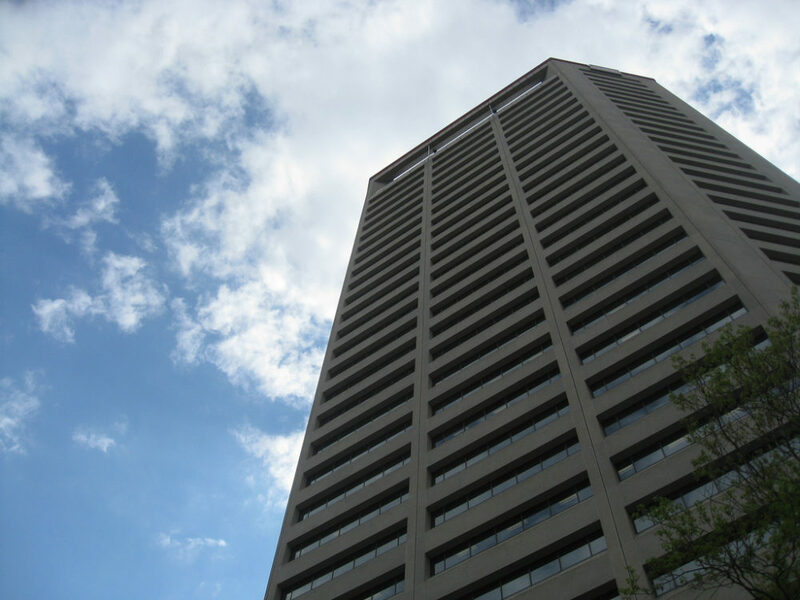 “It is unacceptable that a million Ohio consumers were not provided the public notice of hearings for AEP’s proposed rate increases,” said Dan Doron, public affairs director for the Office of the Ohio Consumers’ Counsel. More than a minor detail? Utilities are commonly required to publish notices in local newspapers to notify customers about public hearings, according to PUCO spokesman Matt Schilling, who could not recall a similar situation involving another electric utility case. In other contexts, the Ohio Supreme Court has said failure to provide notice or giving inadequate notice could lead to reversal on appeal. However, the court has also refused to reverse a decision in which the problem was deemed a minor detail. Others are more willing to forgive the company’s misstep. “While it is of the utmost importance for parties to follow the laws and procedural rules of Ohio, AEP’s failure to do so here did not prejudice the ability of the public to be involved in the case,” said Trent Dougherty, general counsel for the Ohio Environmental Council, one of several environmental, industrial and other groups that have signed onto the company’s latest plan. That settlement was possible in part because even without formal notice nearly 50 AEP customers testified at local hearings last year. The current version of AEP’s plan puts off increases in flat fees, for now. Advocates had criticized that plan for discouraging energy efficiency and renewable energy investments. The company plans to revisit the fee issue with a new filing to be made by June 2020. The plan includes a “Smart City Rider” for a microgrid and a pilot electric vehicle (EV) program. The EV program has strong support from the Ohio Environmental Council, Environmental Law & Policy Center, the Sierra Club and the Natural Resources Defense Council. Data from the pilot program’s charging stations will be used to analyze grid reliability, load growth, demand response and pricing issues. The Office of the Ohio Consumers’ Counsel said in its brief that the programs “may provide a benefit, but only for a select few.” Other provisions remain contested as well. Doron said the plan could increase electricity rates for customers who don’t choose a competitive supplier, and it also doesn’t include rate reductions from the recent federal corporate tax cut. The plan also carries forward an arrangement for all ratepayers to subsidize AEP’s stake in two 1950s-era coal plants and adds a separate “placeholder” rider for renewable energy projects the company committed to in an earlier case. Alternate plans to let AEP and other utilities recover costs for the two Ohio Valley Electric Corporation plants are pending in the Ohio legislature. The Federal Energy Regulatory Commission is also considering a proposal to integrate Ohio Valley’s plants into the PJM system. The Office of the Ohio Consumers’ Council filed comments opposing that plan on Friday. PUCO is set to rule on a motion in the case Wednesday. Blake expects that ruling to deal with an AEP request to move ahead with a March auction to buy energy for its non-shopping customers, but the commission could decide to address the public notice issue as well. UPDATE: This article has been updated to reflect additional information from AEP’s Scott Blake about the PUCO action scheduled for Wednesday. Ohio regulators let FirstEnergy collect $168 million a year from ratepayers with virtually no strings attached for how it is spent. A little-known item on home electricity bills in North Carolina could get a big increase as part of Duke Energy’s rate case – a move advocates say will hurt low-income communities and hamper clean energy. With Ohio’s energy and energy efficiency standards again under attack, a new policy paper from Ohio State University attributes the lion’s share of electricity cost increases since 2008 to utilities and provisions that insulate them from full competition. Our January bill went from $250 to $608!! How can that be?….yes we have had a cold winter…..we can’t pay this big increase and buy our food too….we are elderly and on fixed income! !